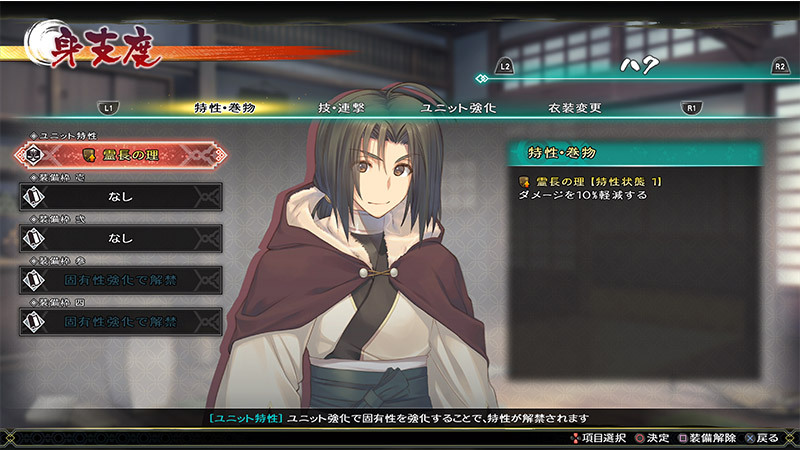 Aquaplus has updated the official website for Utawarerumono Zan, revealing new characters and gameplay information for the action spinoff. 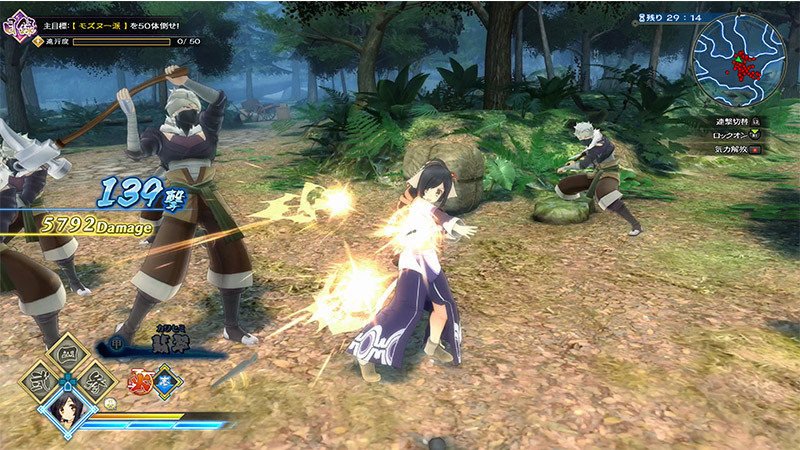 The game is stage-based and divided by missions. Each mission will have a primary goal which must be completed in order to succeed. 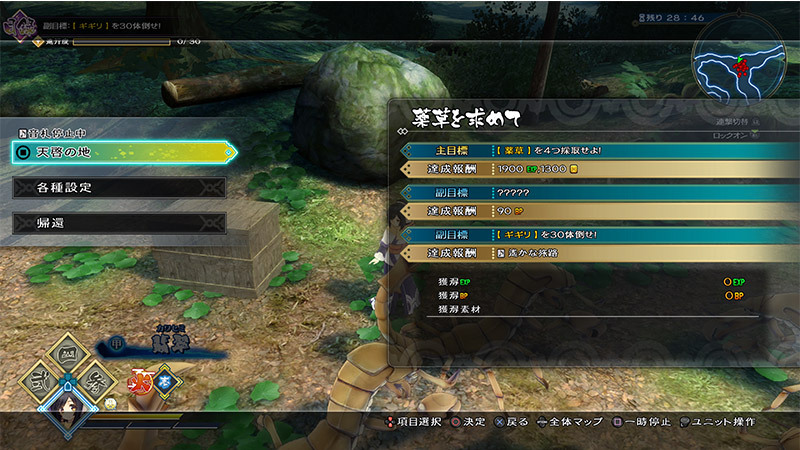 This goal could be to defeat a certain number of enemies or to collect a certain number of items on the map. Each mission will also have secondary objectives to complete as well, such as defeating a specified number of specific enemies. Each character will have their own unique passive characteristics that have a chance to take effect during combat. Haku's can lower the damage he takes. 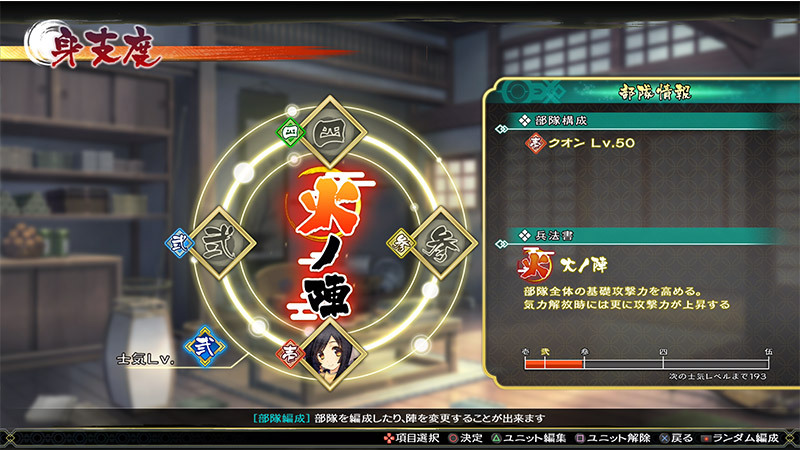 Kuon's 'Indomitable Will' can raise her attack power when she is under duress. The rate of activation for these characteristics can be raised over time. There are also Formation Effects that can be set to the four-person group, which can be altered based on the equipped bonuses. 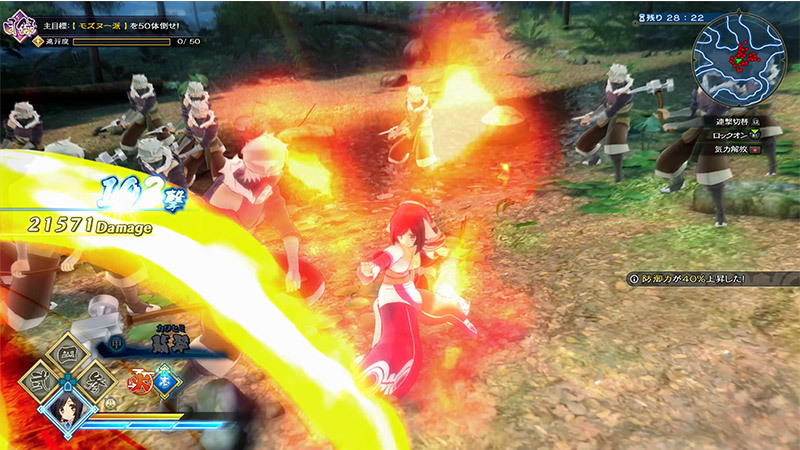 For example, a Fire-based formation can raise attack power as morale is raised in battle. a Water-based formation can raise defense power. 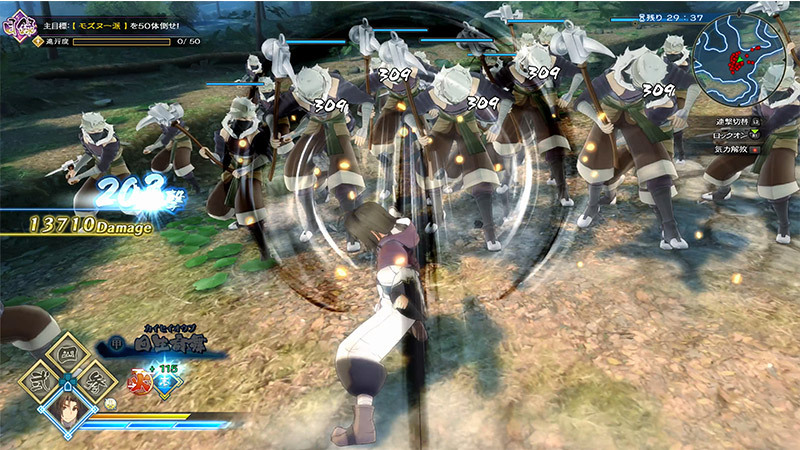 Combat is done largely by combining standard attacks and continuous attacks in order to produce long combo chains. Standard attacks are quick and relatively weak, but work to raise a character's energy level. Continous attacks require energy to use, but offer higher power, range, and even buffing effects. 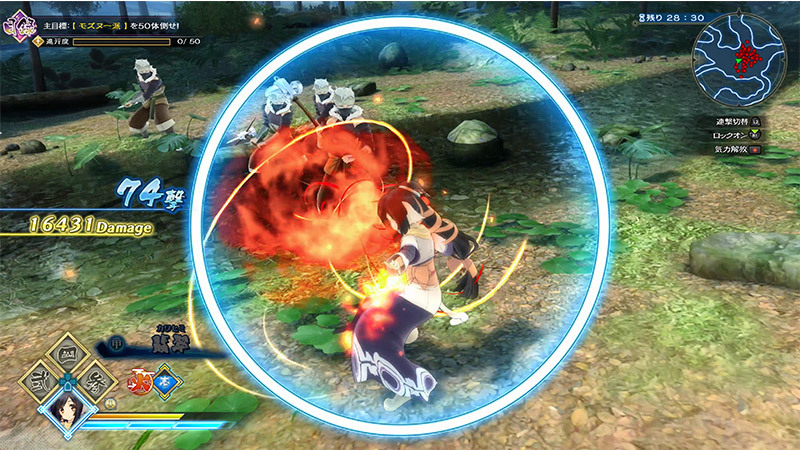 Each character also has unique special attacks that can be used as a precursor to combos. Haku can use a giant iron fan to blow enemies away, while Kuon can throw kunai from long distance. Finally, there are also ultimate attacks characters can use when their energy is at maximum. These cinematic abilities can offer a variety of effects, such as high damage or healing to the group. The website also introduces more characters that can be used in combat - Atui and the pair Saraana & Uruuru. 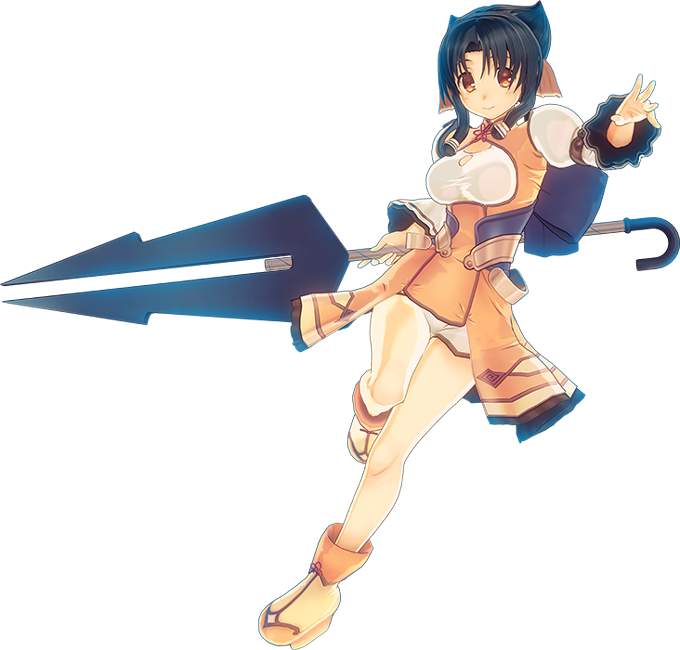 Atui is a sophisticated and cheerful girl whose demeanor changes when she takes her lance to the battlefield. The twins Saraana & Uruuru are mage dancers who follow Haku around for unknown purposes. 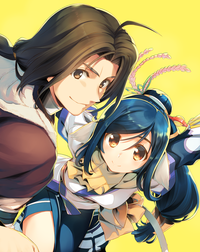 Utawarerumono Zan is set to release on PlayStation 4 in Japan on September 27. You can find the opening movie and more details on the game here.